The little kid was playing football with a balloon and didn’t care that the ground had more stones than grass on its surface. He was enjoying the game, excited to be able to kick the ball high up in the air with least effort. I was like a fly on the wall looking at all the people going about their business and no one paid any attention to me, they didn’t care if anybody was watching them. 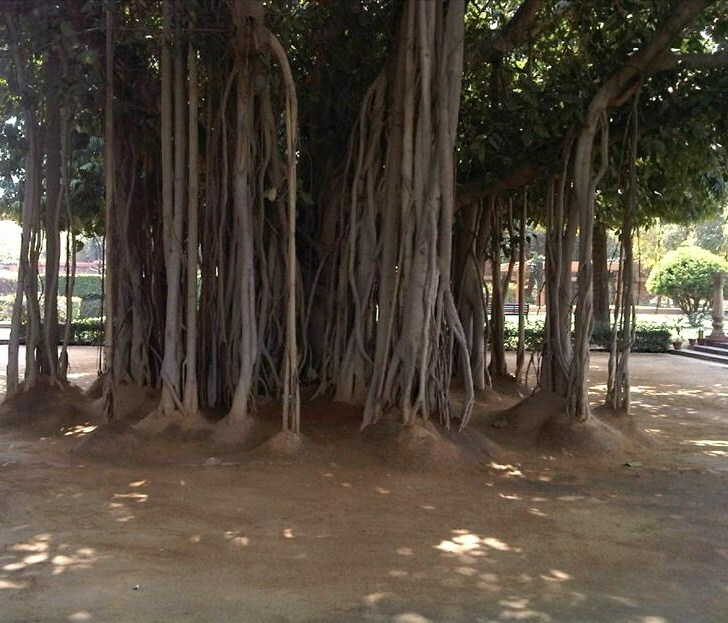 Everybody was alive and happy, even the dog sitting under the shade of a Banyan tree looked extremely pleased with his sketchy life. Life is exactly like this, people are busy living their lives, unconcerned with the onlookers. No one has the time to enquire about the others, everybody is selfishly narcissistic. It’s like they are moving ahead on a solitary path with blinkers on, their paths set and strides unwavering. A tug at your shirt pulls your attention back to the mortal world you live in. It is all grey here; black and white are blurred into this dull unappealing shade of charcoal, quietly fading into oblivion. What a nice write, a story with a philosophical twist. Lovely. Thank you Suzy, it was a lovely topic and writing for it was easy. Sulekha,you have beautifully described what we experience every day. The wheel of life goes on. No body has the time to stand and stare. When we raise ourselves high or become neutral …. we enjoy the whole lot of worldly activities…. it's my interpretation…. that's so true..life is never too black or white..it's always a shade of grey…. I know, but it's so interesting too. Irene, appreciate your lovely comment and wishes, have a great weekend too.